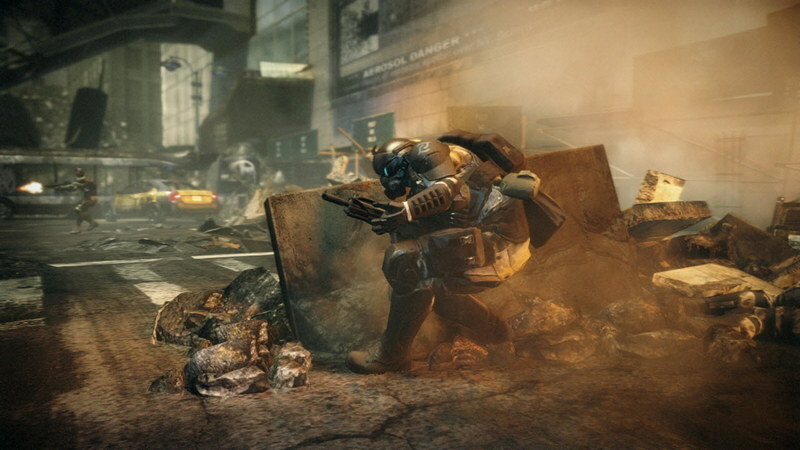 The launch of Crytek's Sci-Fi shooting game title Crysis 2 is just around the corner, but the complete achievements list for it is out now. There are in total 50 achievements in the game, out of which 49 are regular and one secret achievement. We have listed below all the achievements in the game, along with hint to earn it. Escape the Battery Park evacuation center. Assimilate alien tissue at the crash site. Infiltrate the CELL facility at Wall Street. Complete the evacuation at Times Square. Complete 6 levels on Veteran difficulty. Complete 12 levels on Supersoldier difficulty. Complete the single player campaign on Supersoldier. Single Player: Stealth kill 25 enemies. Find all New York Souveniers. Kill 10 enemies with grab and throw. Single Player: Kill 20 enemies with the Microwave cannon. Single Player: Kill at least 3 enemies with a single grenade. Single Player: Kill 5 enemies while sliding. Kill a CELL operator with a giant donut in Lower Manhattan. Throw an alien down the sinkhole in Dark Heart. Keep all marines alive during the rescue in Semper Fi or Die. Scan all of Richard Morgan’s books in the NY public library. Re-route the power in Eye of the Storm without being detected. Multiplayer: Fully level up the Nanosuit. Multiplayer: Unlock all the weapons. Get 1 of each Skill Kill. Multiplayer: Win a match of every game mode. Play online 6 months after your first time. Unlock 150 Dog Tag displays. Multiplayer: Fully level a Suit Module. Be in a squad of at least 3 people and play a full game. Multiplayer: Play a full game on every map. Create your first custom class.